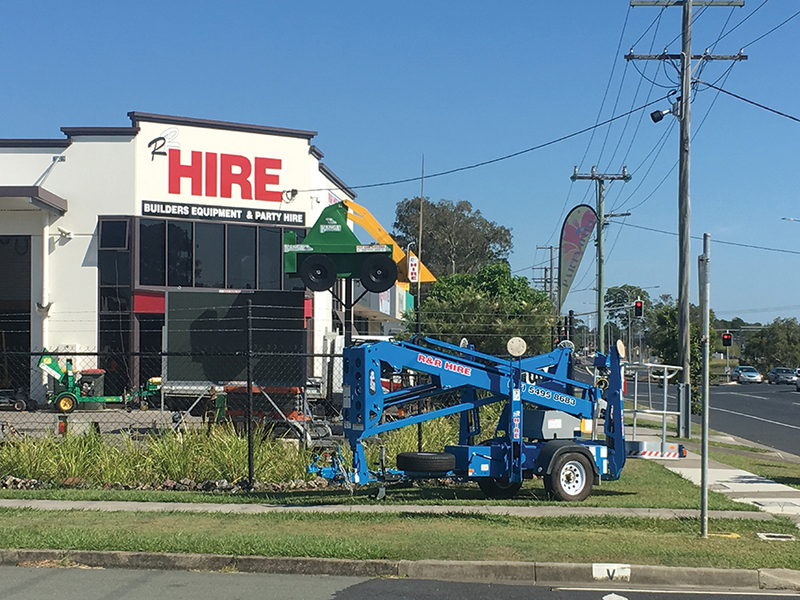 General hire company, R&R Hire Services, located in Brisbane, recently added a Genie TZ-34 boom lift to its multi-brand fleet, with immediate results. The purchase of the TZ-34 boom lift represents the first time R&R, which specialises in compact EWP and earth moving equipment such as trailer mounts and skidsteers, has added a Genie machine to its fleet. “We did our research and I wanted a machine that ran on electricity,” said Rodgers. “With a petrol motor, you’ve got oil, spark plugs and fuel that have to be constantly checked. This is not an issue with a TZ-34 boom lift. R&R Hire Services clients are utilising the portable and lightweight Genie TZ-34 boom lift for general metropolitan work such as signwriting, window cleaning and maintenance activities. Rural clients are using the machine for tree lopping on their properties, according to Rodgers, who believes the TZ-34 boom lift’s ease of use is proving a big winner with customers. The TZ-34 has been so successful for R&R, with customers requesting the electric model, that they have placed an order for another one.